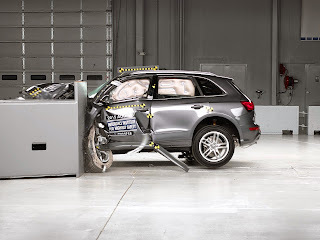 OTONEWS - Variant Sport Utility Vehicle (SUV) Audi Q5 models 2015 ranks highest or TOP SAFETY PICK + in terms of security of the Insurance Institute for Highway Safety (IIHS) United States. 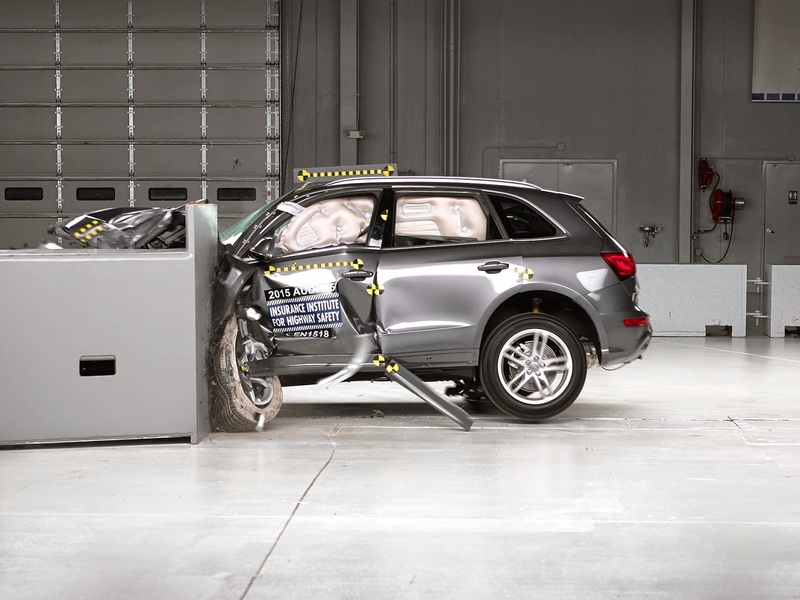 The rating was obtained after undergoing a series of tests that the car hit from the front, side and rolled. IIHS statement said the car went on sale in 2015 January it has undergone several improvements in a number of parts. The part is the front end of the car and the passenger compartment. At the time of forward collision occurs, the driver chamber section looks still good and just in the intrusion by 4 inches at the hinge pillar door. It was a sign that drivers stay safe. While the head and chest doll test driver simulated as precisely and gently restrained by the airbag. As a result, the body and the head of the doll bouncing gently and as expected. Thus will not be injured. In addition, the condition of the airbags inflate according to the design maximum and also protect the body of the driver - who played the simulation doll - to prove the safety factor of the driver of objects beside him. So even with the airbag on the passenger compartment. No Comment "Good scores for Audi Q5"